I love books. Reading is one of my favourite past times. My husband often struggles to understand my need to buy yet another book though. If I'm honest I can't always find a good justification for spending more money on my reading habit... especially when I still have several unread books still waiting for me on my bookshelf. I definitely need a bigger house with bigger bookshelves if I want to continue buying more print books for my collection. So, how do I feed my need for new books to read without breaking the bank? By getting free reads! Now, I have to take a moment to remind you to NEVER get a pirate copy of a book. You'd be amazed at the number of sites out their ripping off poor authors by pirating their books. It's happened to me numerous times. There is never a good reason to grab a book from one of these sites. There are plenty of legitimate ways to get a free copy of a book. If you sign up for Kindle Unlimited you can grab books for free in the lending library. Amazon also offers plenty of kindle books for free. As an author, I often make my books available for free for limited time only promotions. It's my way of letting readers know I appreciate them. It also shows that they don't have to get copies from pirate sites, but can instead show their support and get a legit copy. I LOVE the Net Galley site! The site offers a wide variety of genres, and also gives you the chance to get your hands on ARC copies of new releases. I work with book tour companies all the time hosting their authors on my website www.WritersAndAuthors.info. As reviews are in such high demand they often offer review copies in exchange for your honest review. I've discovered some awesome books through hosting authors on my site. I love reading other book blogs and they often feature giveaways. In fact, when I host an author on my blog they will sometimes offer a giveaway to be included in the post. These are usually done using an app like Rafflecopter. Then there are sites like Goodreads that offer a giveaway feature. When you're not bothered about keeping the book, you can always borrow a copy from your local library. How do you get free books? What is your go-to site for finding out about new freebie offers? I love Net Galley and blog tours. They really do spoil us. I love visiting our library though, even if I tend to use it for the kids more than for myself. 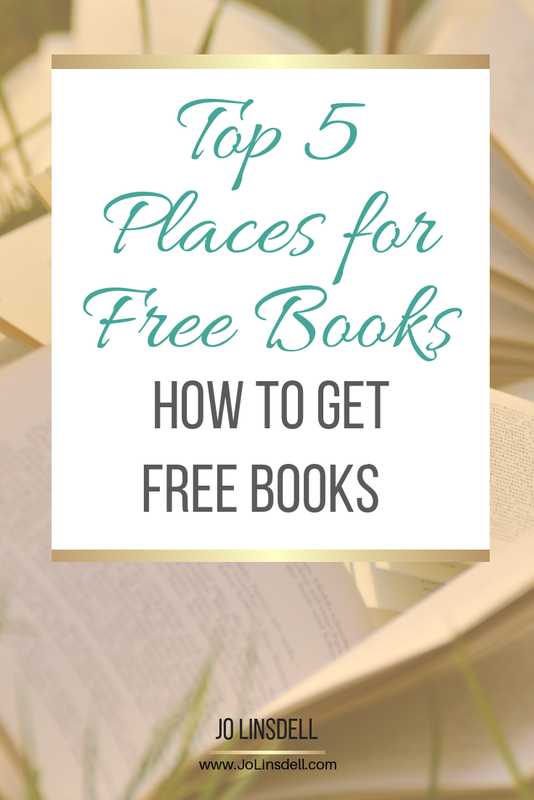 You're welcome :) I wanted to make sure people know there are lots of ways to get free books. Piracy is a real problem for us authors and so not necessary. By bringing attention to ways readers can get books for free I hope it will help them realise that they don't need to use pirate sites that rip off authors. 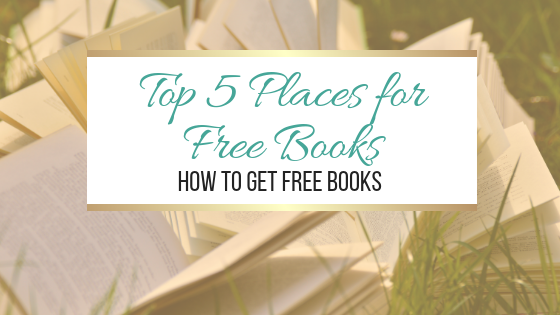 Oooh, free book are one of my favorite things and so much trouble for my TBR. The struggle is real... My TBR is screaming at me at the moment. I have to keep telling myself not to add more books until I get it back under control. I love book tours and Amazon has the best deals sometimes! Great resource post! Netgalley is my favorite resource for free new books - providing you manage to get approved! Net Galley is probably my favourite too. I've discovered so many amazing books through them, and received many as ARC's. As I live in Italy I don't always get approved when requesting copies though as I'm out of their geographic target. I have a very international following and so feel it isn't always fair. I have received some awesome books though and been put in touch with some great publishers and authors through the site. I love this! My local library has an app now that you can rent audio and ebooks on. I don't even need to leave my house now! That's great! Our library has a system like that too. I've not use it yet though. I haven't stepped foot in my local library for years. They cut the hours down, so only open on certain days and it is always full of kids messing around (they have a huge computer section in the main part of the library). A lovely one I used to go to shut down due to budget cuts. That's such a shame :( Being full of kids can only be a good thing though.. even if they only seem to mess around in the computer section. At least they're near books. maybe one day they'll pick one up out of curiosity and discover how awesome it is to read. One can hope. Love you post. I have a lovely local library that I don't frequent enough. I also get freebies from Instafreebie and LibraryThing. They have a member giveaway program and an early reader program. Both which are really cool! I've gotten books from Instafreebie and LibraryThing in the past too, although I haven't used my LibraryThing account in ages. I love netgalley, wish I could read faster. lol...but if you like arcs I would recommend booksprout, I found some new authors that way too. I love NetGalley! And the library! I've discovered so many great books on Net Galley. It's a fantastic site for international book bloggers like myself to be in with a chance of getting ARCs. I love libraries. I paid just €5 for a year library card and it means I can check out films, and music, as well as books. I can order in copies of books they don't have on the shelves, and get to go to events they organise. My library card also gets me discounts at a whole bunch of other places including events, museums, cinemas, etc... I consider my library card one of my best annual investments.